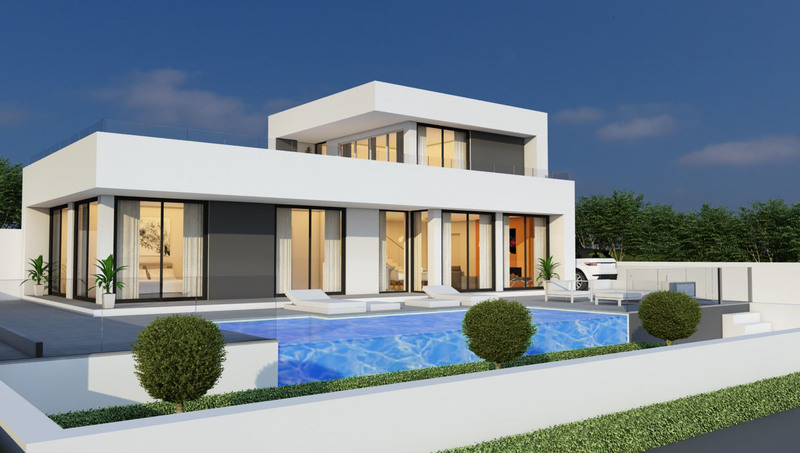 This villa will be located in a quiet residential area of ​​El Toro, near the popular luxury port of Port Adriano. In this villa you can find everything you need in a Spanish Dream Villa. *On the lower level you find a big kitchen with an Italian design kitchen and all appliances, a spacious living room and two bedrooms and a family bathroom. On the first floor we will construct a master bedroom with an en-suite bathroom and walk in closet. *Adaptation and redesigning is always possible.